The tent accommodates maximum 2 adults and 2 young children, it has a double bed and a bunk stretcher. 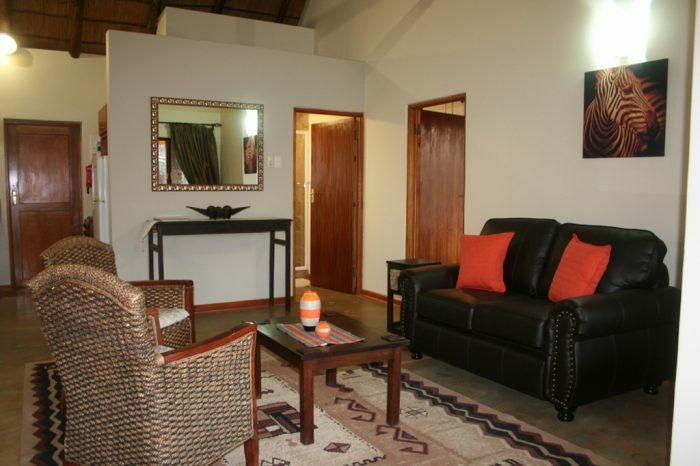 It accommodates 2 people and will make a romantic breakaway for two. On request a bunk stretcher can be added for maximum or 2 young children. 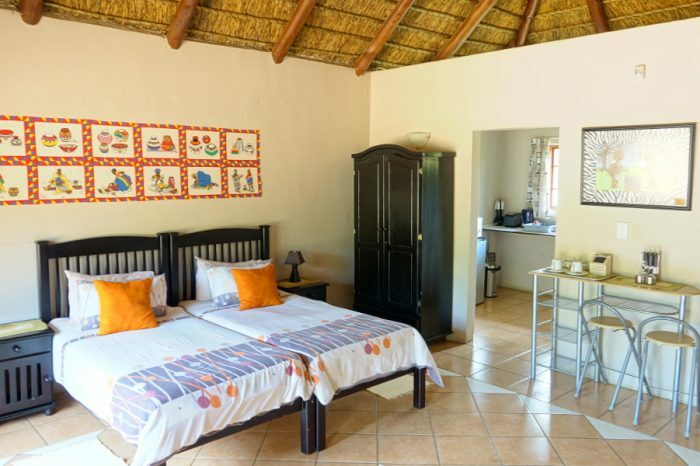 The cottage has a queen size bed, an air conditioner and fan, en-suite bathroom with a bath and shower, kitchenette (with small 2 plate stove and oven combo, microwave & toaster, bar fridge, etc.) and the necessary to cook and braai. It consists out of 2 covered domes connected with a kitchen. The tent accommodates maximum 4 people; it has 4 deluxe stretchers with mattresses, 2 per tent. It accommodates 2 adults. It is a luxury roof top tent (please take note you have to climb a ladder to get to your bed), it has a double ‘bed’ and a small tent room below. It is set up in the bush, overlooking some Sickle Bush, has it own kitchen that is kitted out with everything you need to cook and braai. The Russet Bush Tents accommodates 2 people per tent and are located in the bush area of the property. Four of the tents (Russet 1, 2, 3, and 5) have single beds and the other (Russet 4) has comfortable deluxe stretchers. Karee family stand allows for a maximum of 4 caravans/tents/trailers tents/rooftop tents on the site not exceeding 10 people on the site. It has shade, a power point, tap for water and a braai area/fire pit. Centrally located with the Karee trees providing a cool shaded area. Waterhole (Watergat) stand allows for a maximum of 2 tents/trailers tents/rooftop tents on the site not exceeding 6 people on the site. It has shade, a power point, tap for water and a braai area/fire pit. Located next to the fence overlooking the bush and small waterhole. 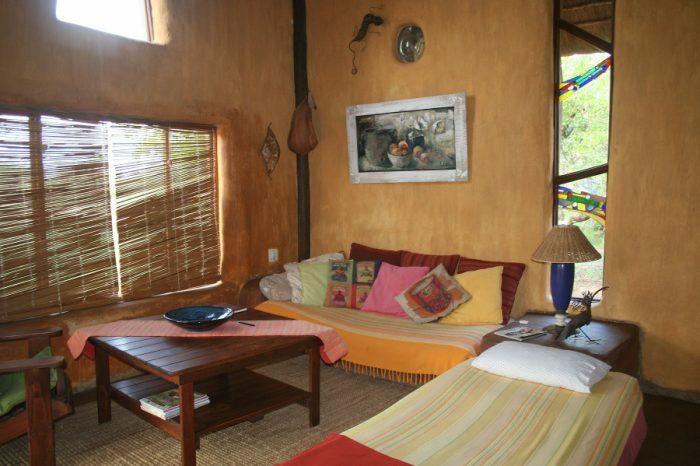 It accommodates 2 people (a couple) and will be your glamping breakaway for two. This tent has a queen size bed, en-suite bathroom with a bath and shower, kitchenette (with a single electric plate, microwave & kettle, bar fridge, etc.) and the necessary to cook and braai. More privately situated with view over the bush.